In our first post about senior nutrition, we examined how senior nutrition changes over time and the specific macro and micronutrients that seniors need to increase as they age. 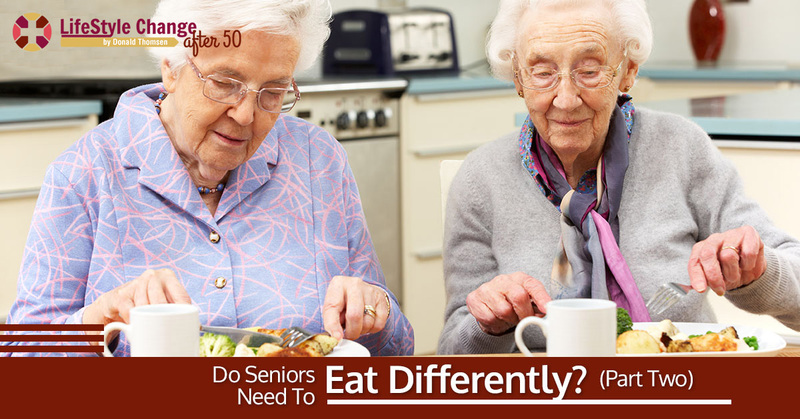 In today’s post, we’ll continue looking at a couple more nutrition pieces, in addition to how seniors health affects their nutrition. Did you know there is a different way to senior living? You don’t have to accept that your life is on the decline and spend the rest of it sitting in a recliner in front of the TV, instead lead a spirited life full of activity and health and wellness. Follow along for more valuable information on senior nutrition. Older adults tend to experience increased gastrointestinal (GI) issues such as constipation, so it’s vital to eat a diet rich in fiber. This is incorporating an abundance of vegetables and some fruits, beans, legumes, and whole-grains (if you can tolerate them). Eating healthy fats is great, but it’s knowing which kinds to eat. This is steering clear of vegetable and canola oils, and opting for avocados, nuts, and coconut oil. Salmon is a great source of omega-3 fatty acids that support brain and heart health. How we feel physically, mentally, and emotionally, influences how we eat. If we’re sick, we tend to not be hungry and the same is true if we’re stressed or upset. With aging can surface anxiety and it can be hard to go out into public, and when you have a hard time getting out, getting to the grocery store is near impossible. If someone can’t get to the grocery store because of social anxiety, they can’t access food and their nutrition is greatly affected. Financial concerns are a huge burden for seniors because they have a limited reserve of resources and aren’t sure how long they will have to make it last. Food can be expensive, so they’ll often opt for cheap meals that offer little to no nutrition. Some seniors who are still independent have the inability to prepare meals on their own and cooking becomes a chore. When you can’t prepare meals your nutrition will suffer because you’re likely microwaving meals or eating highly-processed foods. Seniors may also have mobility constraints that make it difficult to open jars and lids or lift certain food items. The older we get the more people we lose, and there is a tendency for seniors to experience depression and isolation, which impacts how and what they eat. Dental health is a major factor in senior nutrition because if you’re experiencing pain or discomfort due to poor oral health or insecurity from dentures, eating can be very difficult. Medications also tend to lend to oral health issues such as dry mouth, sores, and altered tastes which can also affect eating patterns. It’s valuable to have a well-rounded diet of full of micronutrients, such as B12, fiber, and healthy fats. 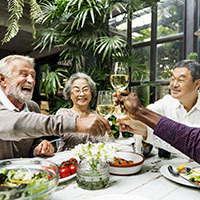 It’s also important to understand that health affects how and what a senior eats as they can experience social anxiety, financial concerns, mental health and dental concerns, and can be unable to prepare meals, which makes nutrition and meals very difficult to execute. 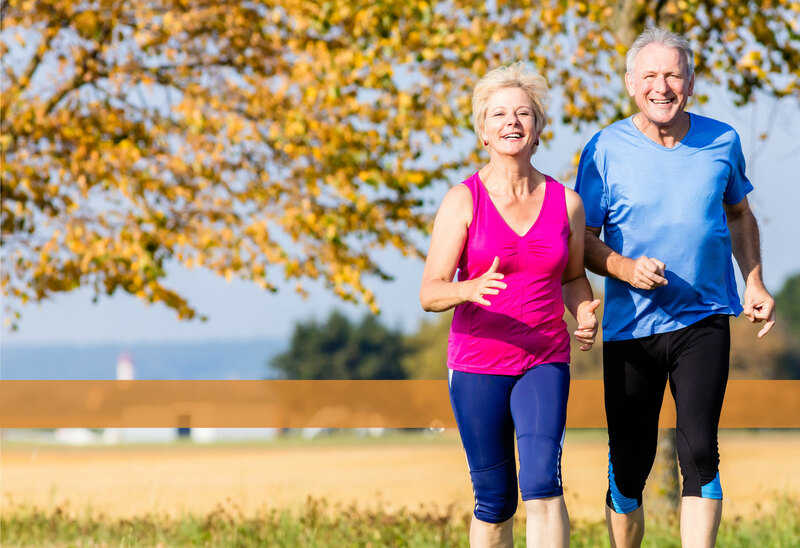 To learn more about Donald Thomsen’s philosophy on nutrition and senior fitness, connect with him today!